Olympus Has Fallen is directed by Antoine Fuqua, it stars Gerard Butler, Aaron Eckhart, and Morgan Freeman, with Angela Bassett, Robert Forster, Cole Hauser, Finley Jacobsen, Ashley Judd, Melissa Leo, Dylan McDermott, Radha Mitchell, and Rick Yune in supporting roles. The film depicts a North Korean-led guerrilla assault on the White House, and focuses on Secret Service agent Mike Banning’s efforts to stop them. Olympus Has Fallen was released on March 22, 2013, by Film District and earned over $160 million against a $70 million production budget. 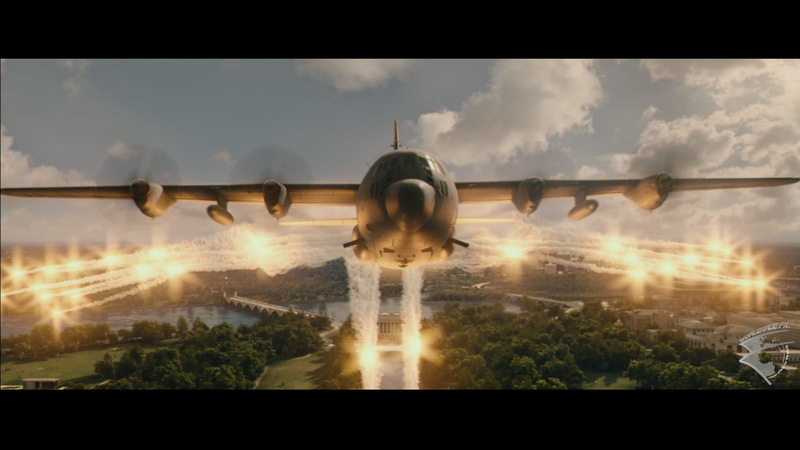 Filming began in Shreveport, Louisiana, in mid-July 2012.Because Olympus Has Fallen was filmed so far from its actual setting of Washington, D.C., the entire production relied heavily upon visual effects, particularly computer-generated imagery. For example, computers created nearly all of the opening sequence in which the First Lady is killed in a car accident, with chroma key greenscreen technology used to composite the actors into the computer-generated snowy scenery. For scenes where actors walked in or out of the White House, a first-floor façade and entrance were built; computers added the second floor, roof, and downtown D.C. cityscape.Action scenes with the White House in the background were filmed in open fields and the White House and D.C. were added in post-production. How Worldwide FX Did It?